It is with deep sorry and regret that we have to announce the passing of two members. Arthur Muskett, who could always have been found in the carriage shed working on some new project, and Adam Hamilton, a former BCDR fireman who lately came to prominence in the BBC1 documentary ‘Raising Steam’. Both had been unwell for some time. Our deepest sympathies from all at the DCDR to their families. 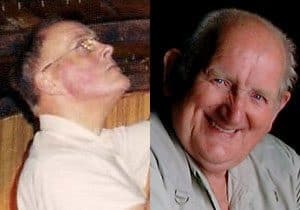 MUSKETT, ARTHUR HENRY – Died July 25, 2010, peacefully, at Barrhall Residential Home, Portaferry, late of 2 Rochester Drive, Belfast. Deeply regretted by his beloved wife Muriel and the family circle. House and Funeral private. HAMILTON, ADAM – Died July 28, 2010, peacefully, in home in Orby Park, Castlereagh, Belfast, beloved husband, father, step-father and grandfather. Will be sadly missed by wife Maureen, daughter Christine and husband Alex, Adam, Amanda and step-daughter Karen and husband Samuel, Rebekah and Andrew. Donations in lieu, if desired, to Haematology Clinical Fund, c/o Ravenhill Funeral Services, 334 Ravenhill Road, Belfast, BT6 8GL. Peace after suffering. Hop Aboard the Easter Eggspress! Events for 2019 confirmed – buy tickets and gift vouchers now! Ticket sales close 12 hours before each day's trains start. You can still buy tickets at our station on the day!